Arkansas has quite a wide variety of trails and tours! “All Types”. Walking, hiking, biking, bus touring and the rivers offers the best of what Arkansas has to offer. Home to beautiful mountain ranges and many other exceptional tourist attractions. If you enjoy golf check out the twelve courses in all corners of Arkansas which provides challenging games with open scenery. The Timberlands, Ozark and Ouachita Mountains, Central Arkansas and the geographic beauties of the Arkansas Delta known as “Crowley’s Ridge”. With our private bus rental service you can visit any of these locations or tours any day you choose! 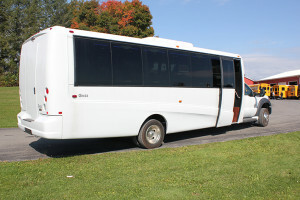 Make your Arkansas group travel more special, affordable and comfortable. Travel the city in our luxury charter buses, ensuring that you cover as many locations within the 53,182 Sq. miles of Arkansas in and comfort and style. Whether you are planning to engage in an outdoors sports or recreational activities with a group of friends, family and coworkers trust Charter Everything for all your group travel needs. With such a large numbers of outdoor tourist attractions to visit in Arkansas, a private charter bus rental is the ideal option for groups to get around town fast and safe. Do you like recreational boating? Check out Springs Rivers for excellent bass and pan fishes that swim in the Little red River or try sailing at the 40,000 acres lake its something everyone should try at least once. Whatever the activities which you and your friends wish to embark in across Arkansas, we will comfortably and smoothly transport you and your group to your desired locations. Arkansas has plenty to do from entertainment and nightlife, fine dining, shopping centers, and special tour destinations. The city offers the perfect blend of adventure, excitement, and fun. Enjoy a one of a kind experience by exploring the city in one of our luxury charter buses. Whether you wish to explore Hot Springs National Park, Little Rock Central High School National Historic Site or William J. Clinton Presidential Library and Museum. Move along the beautiful Mammoth Spring State Park and Crater of Diamonds State Park and the experience will be etched in your memory forever. 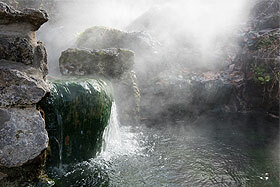 When you select Charter Everything you can visit all of these desired points of interest attractions any day you choose. 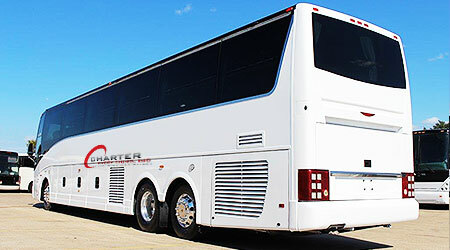 Whether you are planning a family vacation, a school trip, a shopping weekend with your friends and family or corporate outing to Arkansas, you can always rely on Charter Everything for transportation. We’ll always provide you with fully insured and the well-equipped fleet of charter buses and extraordinary customer services 24/7 to get you wherever you wish to go. Our capability of conveniently accommodation any group size from 15-61 passengers each vehicle with a private charter bus or minibus rental makes us an obvious choice for group tours, wedding shuttles, school trips, and events, corporate events and so much more. To ensure that we offer all our customers, whether families, school representatives, corporate clients with the exemplary travel services, all our representatives and staff members are trained in State and Federal DOT regulations. Additionally, we take the utmost care to make sure that all vehicles, including charter buses, executive mini buses, shuttle buses, party buses, and limos undergo daily cleanups, checkups and scheduled maintenance before we rent them to any of our customers. The will ensure your group has nothing to do other than enjoy the ride! Do not allow transportation logistic to ruin your wedding preparations or make it more stressful. Let Charter Everything assist you in simplifying all your wedding transportation requirements, ensuring that your wedding day is full of fun with all your guests arriving on time and in style. 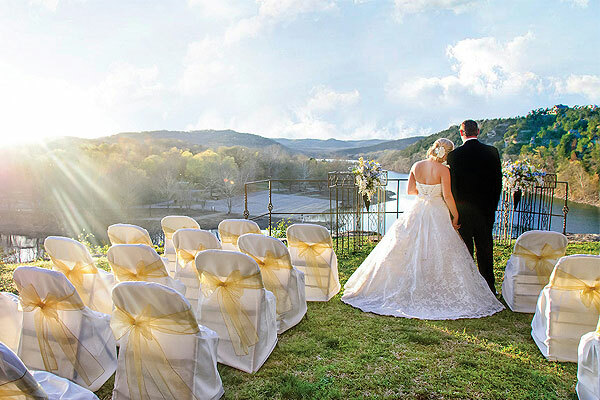 From the initial bachelorette party to the bridal shower to wedding and reception shuttles in Arkansas, we have just the ideal wedding transportation for accommodating groups of all sizes. Enhance your wedding transportation fun by requesting the royal red carpet service and special amenities on your private bus rental or limousine and party bus rentals. Create out a romantic slideshow on the flat screen televisions for your guest or enjoy some party music on the surround sound speakers on your bus rental. Whether you have arranged for your guests to say at the Marriott Hotel or other hotels, we can provide the best transportation shuttle services to pick up your guests from the airports and take them safely to their respective hotels. Your guests can even enjoy a sightseeing city tour in our luxury buses and arrive at the wedding and reception venue perfectly on time. While your guests travel, they can relax and enjoy the breathtaking views of the city. Call today for a quote. From Picturesque Thorncrown Chapel to Adventurous Motorsports Park and fine dining, there is a wide array of places to explore in the city. Schedule a charter bus with us and enjoy a comfortable travel across the city or take a day trip with friends for a nice change from your hectic work schedule. Either way, we will ensure that you travel safely every stop of the way. Explore the Crystal Bridges Museum of American Art and walk around the Garvan Woodland Gardens, feel the majestic surroundings, take in the serene ocean air and see the fascinating lighthouses. Arkansas is an outdoor enthusiast’s paradise and mecca of breathtaking gardens, lakes and cherry blossoms. Explore the heart of Arkansas in our charter buses and enjoy your tour to the fullest. From the start of your tour to the end, we guarantee you unmatched services. Our representatives will guide you every step of the way in scheduling your bus rental travel. Moreover, you can rest assured of the safety of your passengers as all our drivers are licensed, well trained, highly professional and very experienced. 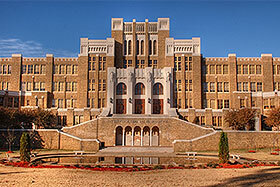 Explore the heart of Arkansas and be a part of the glorious history of the town. Widely known for its days and nights of celebrations and unmatched fun, the city offers amazing amusement centers, exciting dining places, sports activities and great shopping areas for all ages. The fun does not end here. 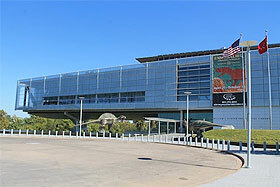 Arkansas boasts of incredible water parks, water sports, concerts, and special events. Your fun starts with just a phone call. Pick up your phone and dial 1-855-696-5287 and take the first and the most vital step to ensure safe, comfortable and luxury transportation. Why choose transit buses, trains, rideshare cabs or taxis when you have the ideal transport for any group travel? With Charter Everything, you can be worry free about arriving late or missing a special event. We will provide you with luxury coach buses, minibusses or party buses according to your requirements that can seat passengers ranging from 15 to 61 in each vehicle. Whatever your travel requirements whether its corporate travel, wedding transportation, school trip or anything else, just inform us about your requirements and we will arrange the ideal bus based on your requirements and budget. Charter Everything can simplify your group travel, why wait? 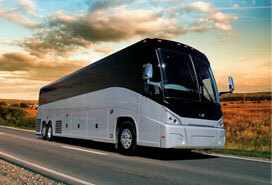 Give us a call today at 1-855-696-5287 and select from a fleet of high-end luxury or standard buses. If you are still confused, talk to one of our friendly representatives. From party buses, minibusses, coach buses, luxury buses to limousines you just name it and we will provide it to you!